I was in no way ready to start baking for the Mega Marathon in February when I baked these amazing chocolate cupcakes with chocolate buttercream frosting. 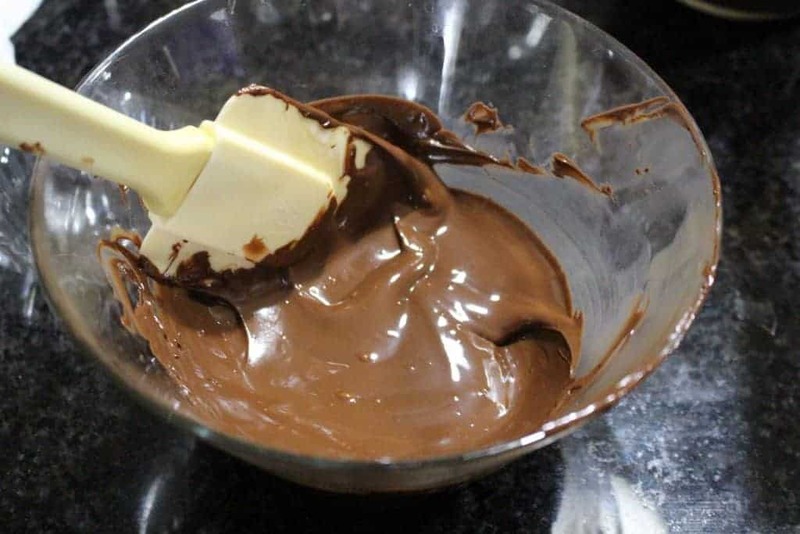 If you know me, it would be evident by now that I don’t make many chocolate recipes. 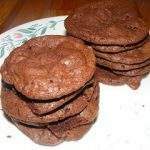 I am not a big chocolate fan and hence there are only very few recipes that I have made with chocolate. 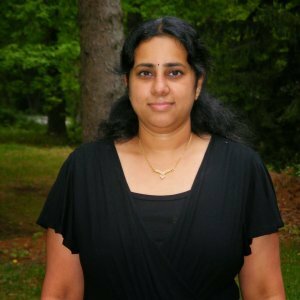 It was my little one’s birthday and also our team leader Srivalli’s birthday on the same day and they both are big time chocolate fans. What better could I have baked for them on their special day other than this wonderful Chocolate cupcake with chocolate buttercream frosting. 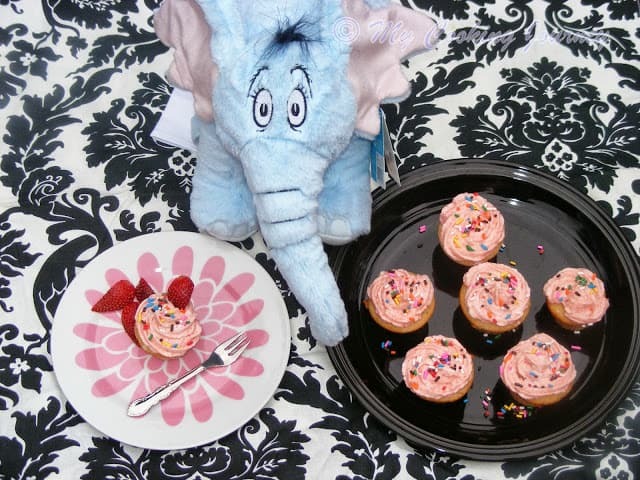 My kid was able to taste and enjoy the cupcakes in person whereas Srivalli got the virtual treat of the cupcakes. This year my son had asked me long ago that he only wanted chocolate cupcakes and that too with chocolate frosting. There are just so many recipes out there that I was a t a total loss to choose one. Finally I settled down on the recipe that was on the back of Hershey’s cocoa box. I am so glad that I chose that recipe as the cupcakes that I made were one of the best ever and my son could not have been happier. I usually make a test run with any new recipe that I try before making a big batch, but this time I just took a brave move and doubled the cupcake recipe as I was making the cupcakes for my son’s school and soccer. The buttercream recipe was pretty basic and I used melted chocolate in the recipe instead of the cocoa. Make sure you take the time to beat the frosting well as that is what helps in making a smooth buttercream. 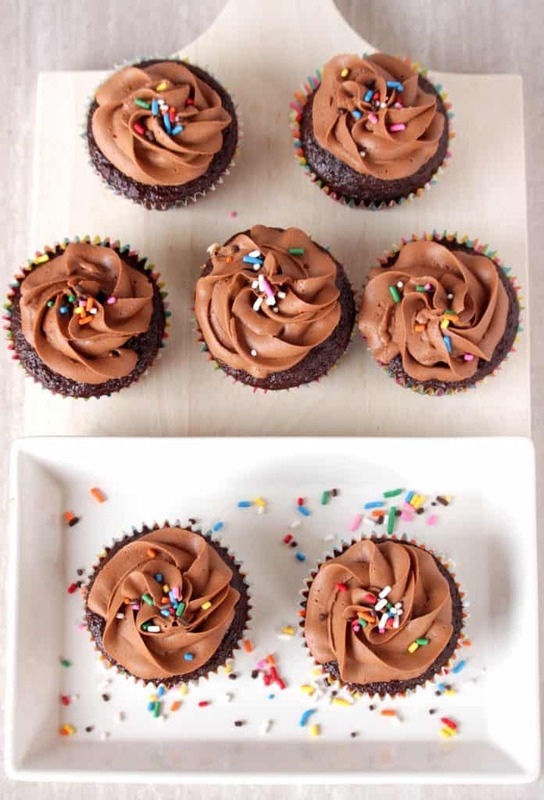 One thing I would really like to mention about the cupcake recipe is that the cupcake batter is very runny. In fact it was so runny that I really thought I have messed up with the water quantity. I had my fingers and toes crossed when I placed the first batch of the cupcakes in the oven. I almost jumped out of joy when I saw that the cupcakes came out perfect and they were one of the most moist cupcakes I have ever baked. 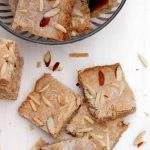 This is my third recipe in the A-Z Baking around the World series and this recipe is from America. This post bought memories of our trip to the Hershey’s chocolate factory in Pennsylvania. It was a place to see and we were in awe when we went for the chocolate factory to see how the chocolates are made. Preheat the oven to 350 F. Line the cupcake/muffin pans with liners. I used my stand mixer to make the batter for the cupcake as I had doubled the recipe. You could make it using a hand mixer as well, but since we are using boiling water in the recipe, having the hands free was very helpful. In the bowl of the mixer, add the dry ingredients. Mix to combine and then add the eggs, milk, oil and vanilla extract. Beat the mixture for about a minute and then slowly add the boiling water. Keep beating the mixture until the batter is smooth but do not over beat the batter. Keep in mind that this cake batter is very runny. 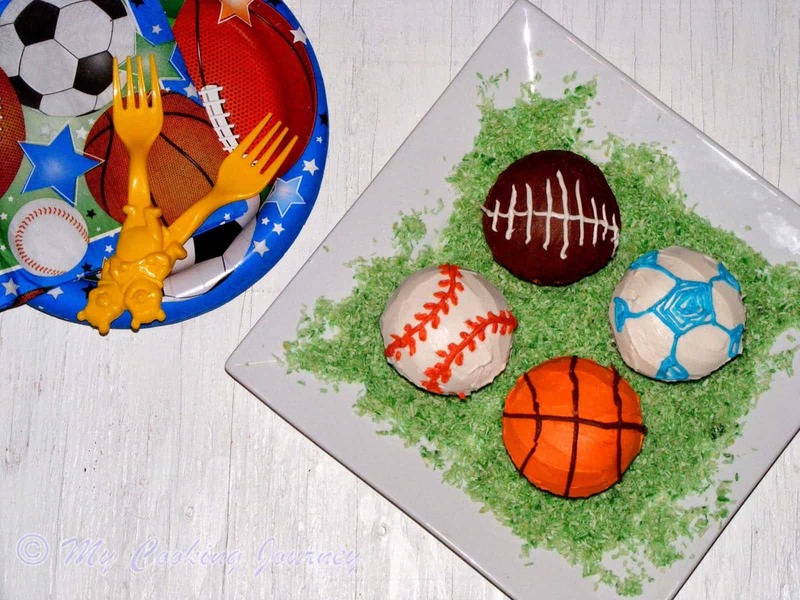 I was very scared when I saw that the batter was very runny, but the cupcakes turned out marvelous. 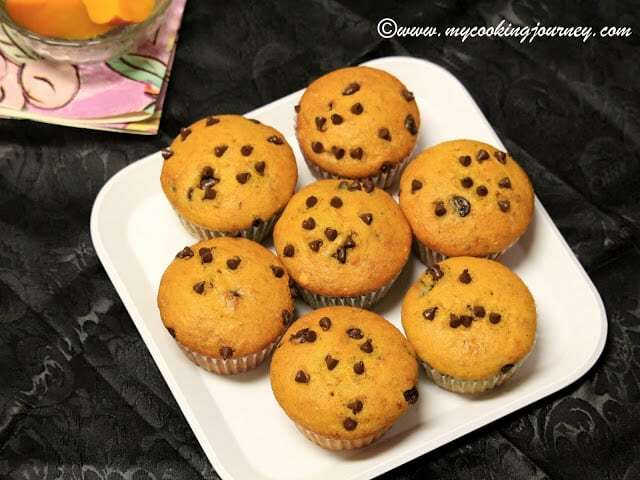 Fill the prepared muffin tray a little more than 1/2. 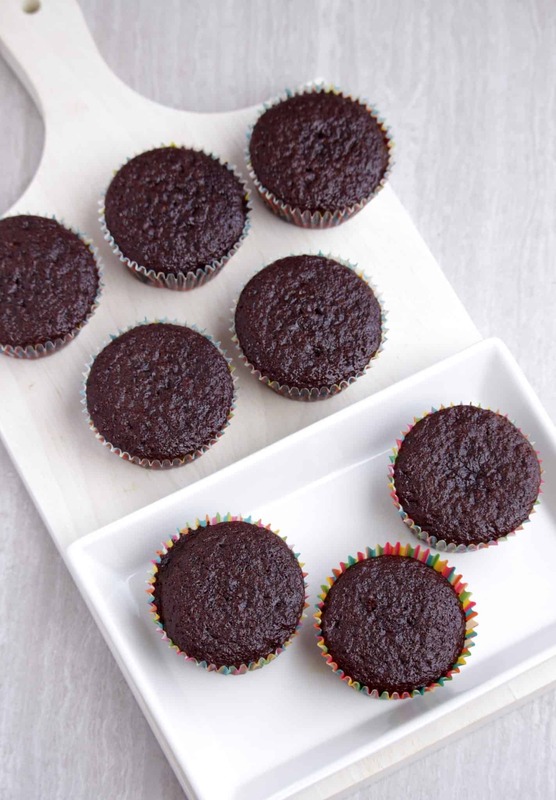 Bake them for about 18 – 20 minutes or until the toothpick inserted into the center of the cupcake comes out clean. Cool the cupcakes in a cooling rack. Let them cool entirely before frosting them. Melt the semi sweet chocolate chip morsels in the microwave and cool it down to room temperature. Place the room temperature butter in the bowl of the mixer and beat in medium speed until light and creamy. Slowly add the powdered sugar in batches and keep mixing until the frosting is very smooth and silky. This will take about 4-5 minutes. 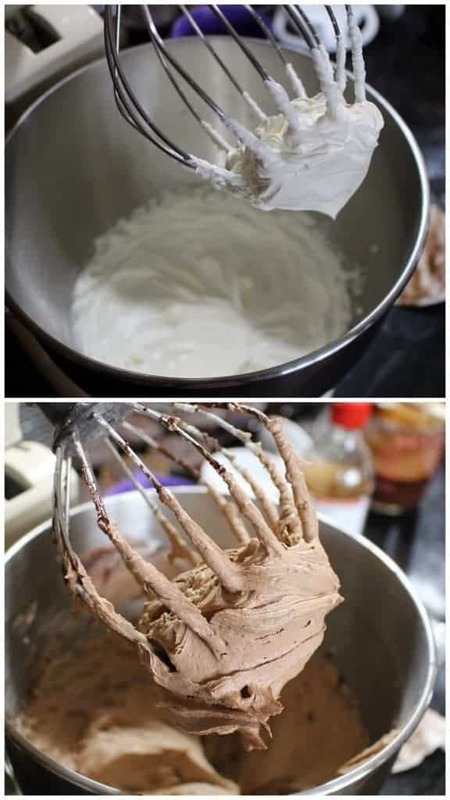 Add the vanilla extract and slowly pour the melted chocolate in the frosting and keep beating the frosting to make it smooth. Once the cupcakes have cooled well they are ready to be frosted. Be sure to Pin the recipe and share it! Absolutely stunning and that buttercream frosting looks amazing. Feel like licking it rite now. 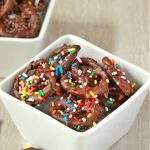 Hershey’s recipes works absolutely awesome everytime. Beautiful cupcakes there Sandhya. Stunning clicks for the chocolate cupcakes. I’m adding this to my cakes Pinterest board. I love a solid, dependable recipe. Thanks for testing these out and posting. Ah thank you so much for the treat Sandhya, that chocolate cupcake is a total drool worthy ones..look so sinful with that frosting and the whole setup makes me want to grab it right off the screen! Lovely cup cakes ,it has got an amazing crust without any cracks in the top!! 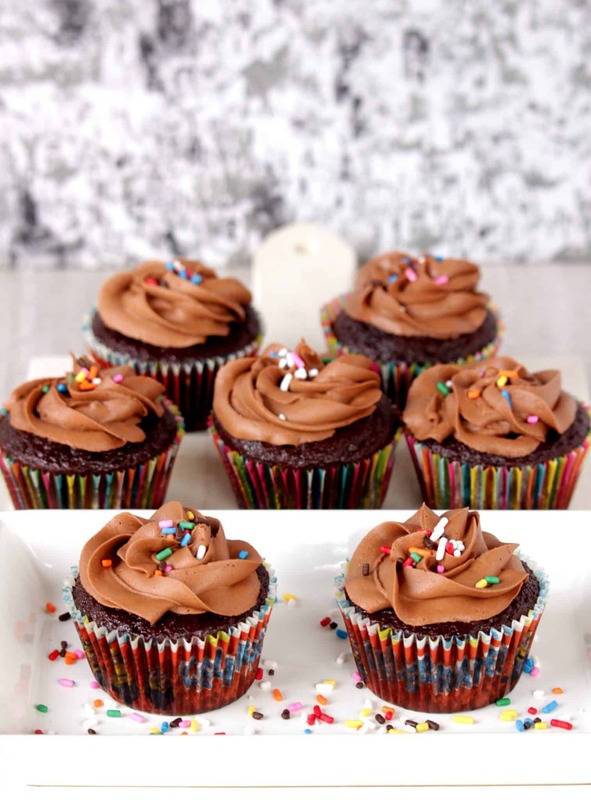 Beautiful chocolate cupcakes Sandhya. 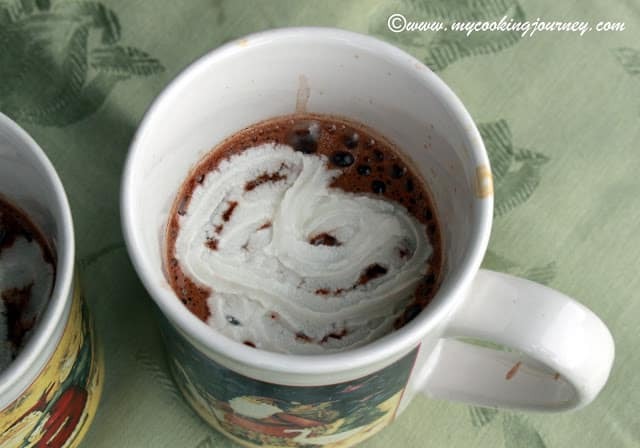 Love the chocolate swirls on top. Yes, I remember these cup cakes , I loved them, I remember drooling over these then, and trust me I am drooling all over again…too much teasing going on Sandhya..LOL. I love chocolate so these sound really good to me. They look pretty with the buttercream frosting. I still haven’t mastered the decorating skills yet. The frosting looks like whipped cream. I would love to stick my finger in the middle of one of them and have a lick. I’m sorry — that’s a little crass, isn’t it? I’m pinning!! I’m following along on this A-Z series, and I have to say, I definitely like C! The frosting looks so creamy and chocolaty! Chocolate with chocolate…this is my husbands’ dream cupcake. 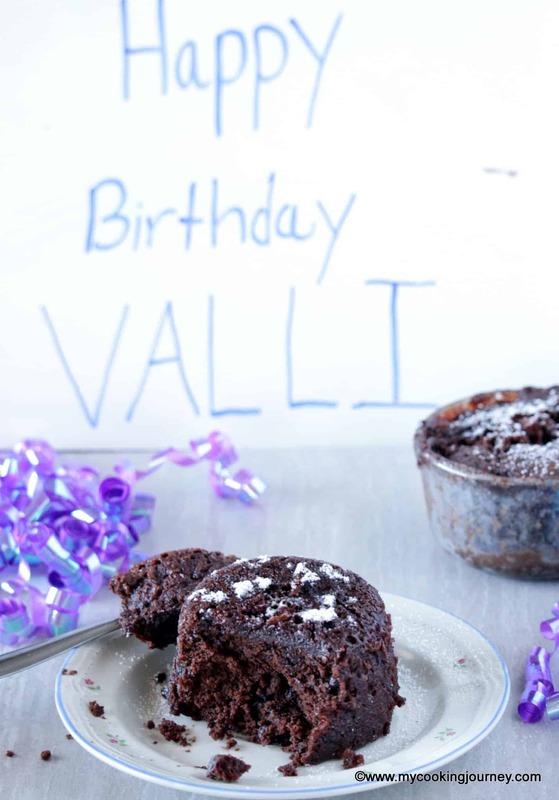 If you are a chocolate lover…this is right up your alley. I wouldn’t mind one myself right now. 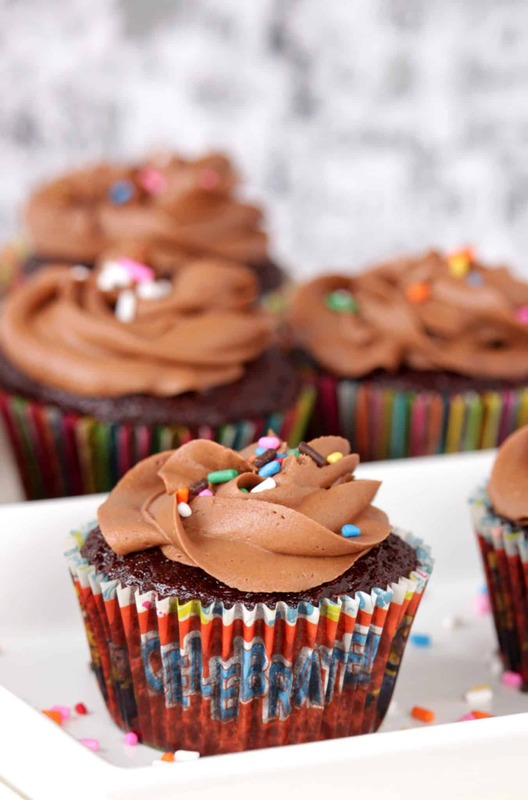 I can think of few better things than a delicious chocolate cupcake with chocolate frosting. A classic for a reason! That frosting looks so light and fluffy..!! Love that.. I’m a big fan of chocolate cupcakes.. anytime!! Yum! 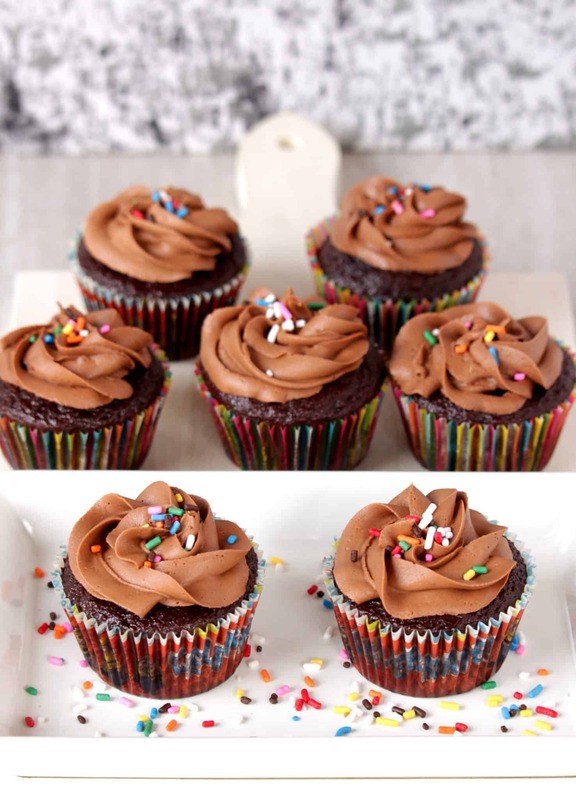 These cupcakes look like chocolate perfection to me!! 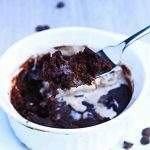 I love a classic dessert and these are certainly right up my alley! 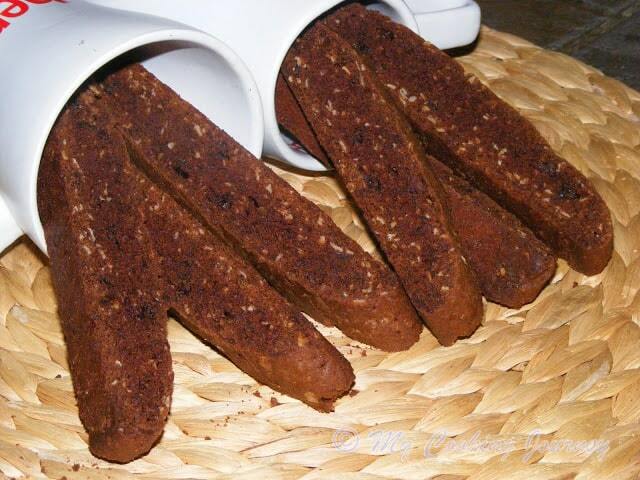 Perfect with a cup of tea! Delicious and love all the clicks… I wish I could grab it right from the screen. Super yum. These are seriously some very beautiful cupcakes! 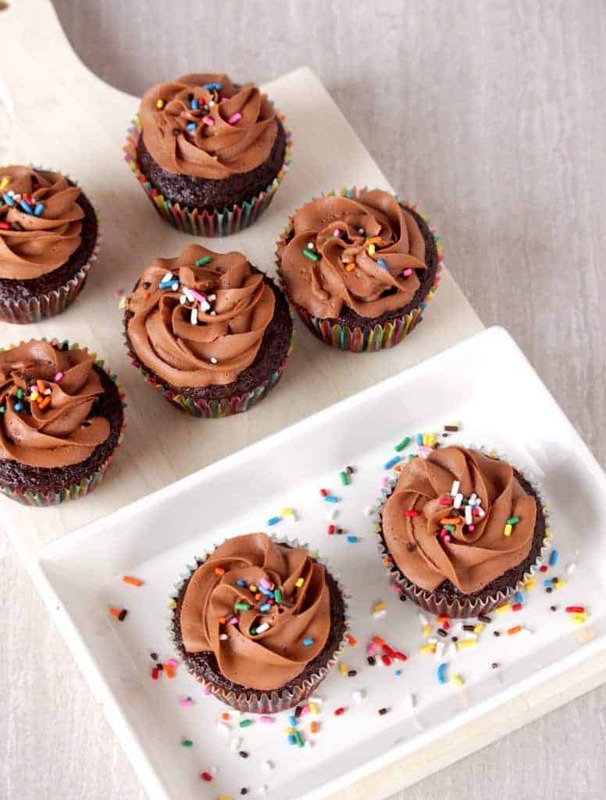 You’ve really managed to capture the beauty and simplicity of the basic chocolate cupcake. I’m pinning this recipe for later. Is there anything better than buttercream frosting? Yes, chocolate buttercream frosting. I am drooling over this! This is a chocolate lover’s dream and I can’t wait to be dreaming, LOL! Looking forward to making these! Delicious chocolate cupcakes love it, my daughter’s favorite, she want chocolate cupcakes with chocolate butter cream. 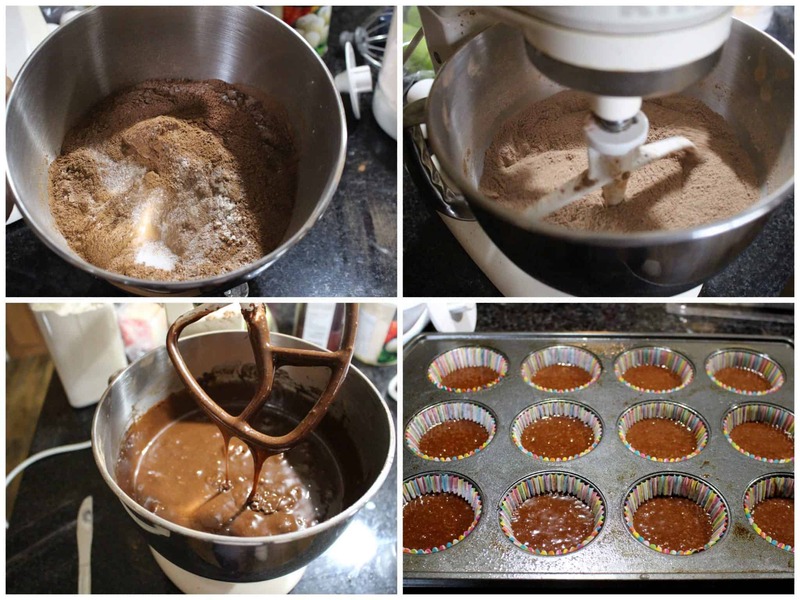 Cupcakes with cocoa powder rather than melted chocolate are a win for me–one less step to worry about! These came out great! Oh my.. these cupcakes look amazing. Double chocolate = double delicious 🙂 Buttercream frosting looks so heavenly fluffy and just yummy. Bet my kiddo would love these! These cupcakes look so good!! 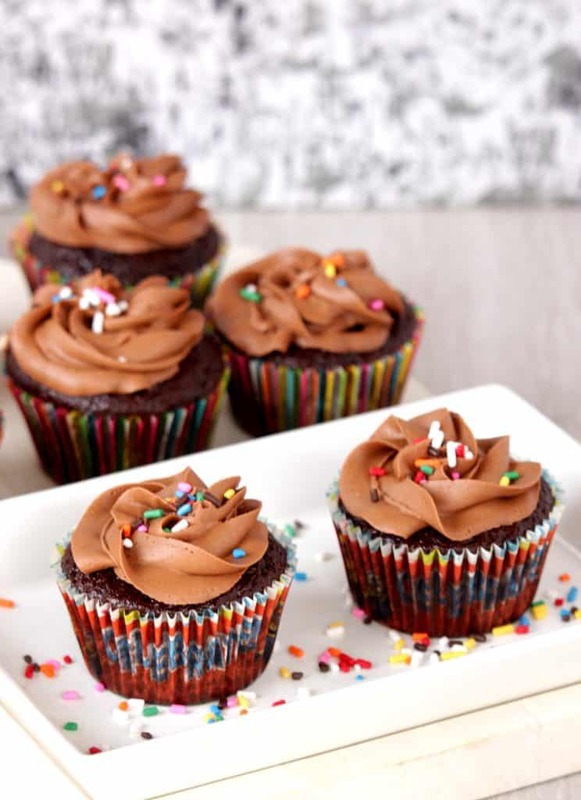 Chocolate cupcakes are my favorite and I can never get enough of cupcake recipes 🙂 Will try this soon. Omg, those cupcakes are rocking and looks so pretty.